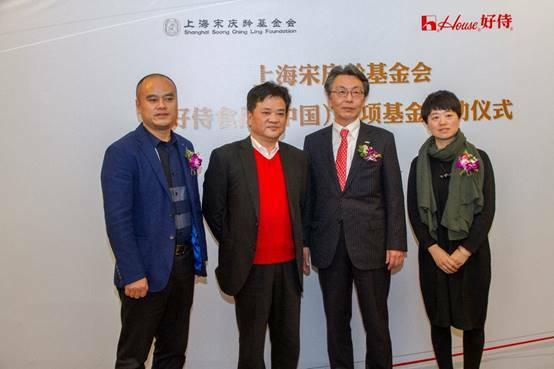 SSCLF – House Food (China) Special Fund held its opening ceremony at the Shanghai Soong Ching Ling Foundation on the afternoon of November 28, 2017. 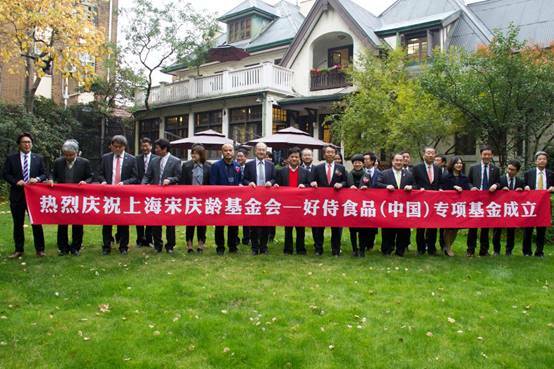 Present at the ceremony were Mr. Suzuki Hi, House Food (China) Co., Ltd., Mr. Jia Yong, acting secretary general of the Shanghai Soong Ching Ling Foundation, Miss Deng Yan, Free Lunch Fund, Cao Jingwei, president of Shanghai New Oriental Cooking School, etc. House Food (China) Special Fund aims at funding two groups of people in the form of inspirational scholarship, one group of people: help the poor family students who are in the school and will soon be admitted to the schools achieve personal success and alleviate their families’ poverty; another group of people: students who are positively upward, loving life and outstanding in skills competition. Anyone at the age of 16 -28 who has a chef's dream but in a poor family can apply for the inspirational scholarship. The special fund will provide financial support for eligible students to open the door to entrepreneurial employment. Good deeds creates harmony and love inherits virtue. SSCLF - House Food (China) Special Fund aims to help the poor students with love in their most critical moment of life, and in the future they will repay society with wisdom.